We know a lot of you have been waiting for Verizon to finally release their latest Android superphone, the Samsung Galaxy Nexus, and today we finally have the good news you’ve been waiting for: the Galaxy Nexus is available now for Verizon’s usual 4G LTE phone price of $300 with a new 2 year contract and data plan. Yes, you can finally pick up the latest and greatest Google phone and the first phone to run the latest and greatest version of Android, version 4.0 Ice Cream Sandwich. But wait– things get better. If you look online you’ll see sites like Amazon and LetsTalk.com offering the Galaxy Nexus for a much better price of $250 when you upgrade your phone (Amazon is also offering the HTC Rezound and Motorola Droid RAZR for an even cheaper $230 on upgrade– $70 less than what Verizon charges). And did we mention that Verizon will also give you double the data for your data plan when you buy a new 4G LTE phone? Yeah, for any upgrade to a 4G LTE phone Verizon will give you double the amount of data (so for example, instead of paying $30 a month for 2 GB you now are paying $30 for 4 GB. This means you can actually do things like video chat and watch YouTube from your phone without constantly worrying about running over your limit and paying Verizon even more money). For more on this see Verizon’s site here. So Verizon users, which phone do you want for the holidays: Droid RAZR, HTC Rezound, Galaxy Nexus or iPhone 4S? Looking for a new AT&T 4G LTE phone this holiday season but want something with a more powerful screen than the Samsung Galaxy S II Skyrocket or HTC Vivid? 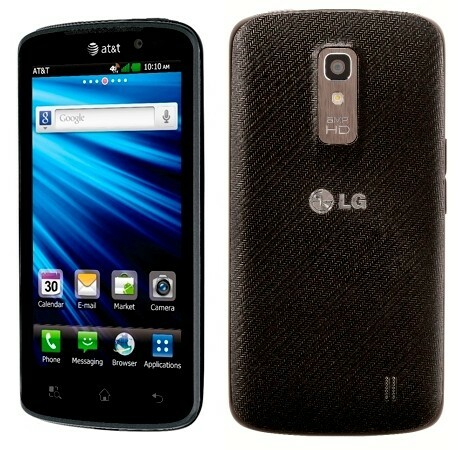 Well, then you should check out AT&T’s latest 4G LTE beast, the LG Nitro HD. Like the Vivid and Galaxy S II Skyrocket, the Nitro HD is an absolute beast of a phone with all the latest and greatest specs you’d expect on a top-of-the-line Android phone today: 1.5 GHZ dual-core processor, 8 megapixel back camera with 1.3 megapixel front camera for video chat, Android 2.3 Gingerbread (with an upgrade to Android 4.0 Ice Cream Sandwich likely coming next year), and of course, support for AT&T’s growing 4G LTE network (and 4G HSPA+ network for the places that don’t have LTE yet. See our post here on what the differences are between AT&T’s 4G networks). But the biggest news here is the screen. Like Verizon’s Galaxy Nexus and HTC Rezound, the Nitro HD packs a 4.5 inch 720p HD screen (the first phone on AT&T to do so). This means that everything from pictures to videos to games to websites will look beyond amazing on here (think of this as the awesomeness of the iPhone’s Retina Display, but on a screen one inch larger). If you plan on using your phone for a lot of video watching (it comes with 20 GB of storage) or gaming we definitely recommend checking this guy out. The Nitro HD will be available this Sunday, December 4th, for a pretty expensive price of $250 with a new 2 year contract and data plan (and who knows, hopefully it’ll get some holiday discounts as we get closer to the end of the month).